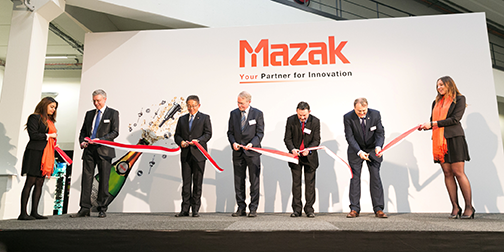 Yamazaki Mazak has officially opened its newly expanded European Parts Centre in Leuven, Belgium and has announced further investments to strengthen its manufacturing and customer support across the region. 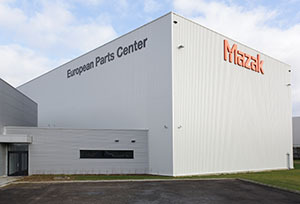 Located in Leuven, Belgium, the Parts Centre has increased its warehouse capacity from 2,700 m2 to 4,600m2 and is capable of shipping 97% of Mazak parts on the same day. The new facility has the capacity to ship over 20,000 parts per month with orders being processed 365 days a year. A second stage of expansion to the Parts Centre is due to complete in 2022 which will increase warehouse capacity to 5,528m2. 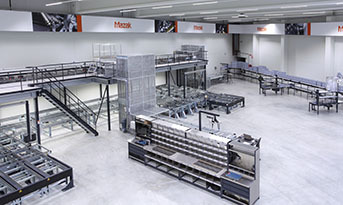 At the heart of the parts operation is the expanded warehouse, which will hold €37 million of parts in stock and 35,000 parts numbers for machines across the Mazak range, including those that are no longer in production, even for machines older than 30 years of age. Once the scheduled further expansion to the warehouse is completed in 2022, the number of part numbers in stock will double. The state-of-the-art warehouse is fully automated and equipped with a new “mini-load” system for small parts picking from 8,000 small trays, travelling from 70,000 locations within the warehouse, and a stacker crane system fo r 3,000 medium to large pallets. In addition, the new 1,000m² logistical working area will house an automated conveyor belt system and four intelligent work stations. 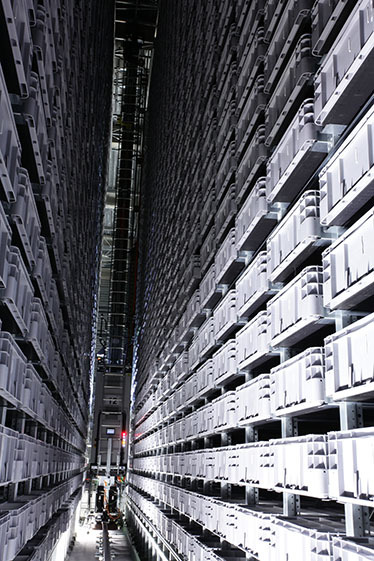 There will also be increased ground floor storage capacity for very large parts. The entire facility is integrated into the Mazak network with a high-end parts ordering system which facilitates online ordering from each Mazak office, together with real-time stock visibility for dealers and linked website tracking for shipment status checking. The European Parts Centre forms part of Mazak’s Total Support package, which includes service, spare parts, application engineering support, turnkey project management, training, and spindle servicing. A second phase of expansion for the Parts Centre is scheduled for 2022 to meet projected demand for parts in the European market. Marcus Burton, European Group Managing Director for Yamazaki Mazak, commented on the opening: “The expanded Parts Centre enhances our European parts capability, offering Mazak customers the most responsive parts ordering and dispatch service in the machine tool sector. Produktbillederne er kun til illustrationsformål og er ikke nødvendigvis en nøjagtig gengivelse af produktet. Mazak forbeholder sig ret til at ændre produktbilleder og specifikationer til enhver tid uden varsel. Copyright 2014 Yamazaki Mazak UK Ltd. Alle rettigheder forbeholdes.